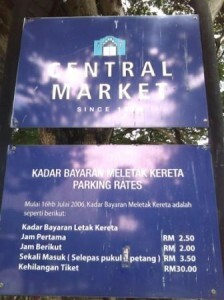 Central Market is also known as Pasar Seni. 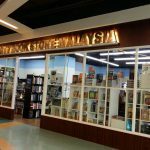 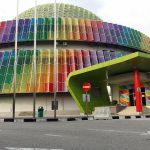 It is located in the heart of Kuala Lumpur. If lose parking ticket: Pay fine RM30.00. 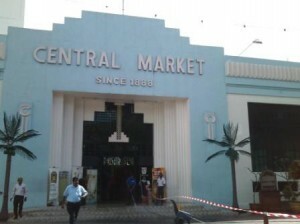 For many of us who are locals, Central Market is a place that brings back a lot of old memories. Central Market was the central gathering places- during the days before mega malls or electronic trains had existed. 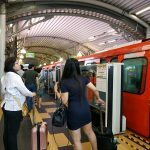 We would take the mini buses (these buses were drove mostly recklessly but they got us to where we want to be fast enough as they swirl in and out of lanes and they were the traffic policemen’s favourite target for summons). 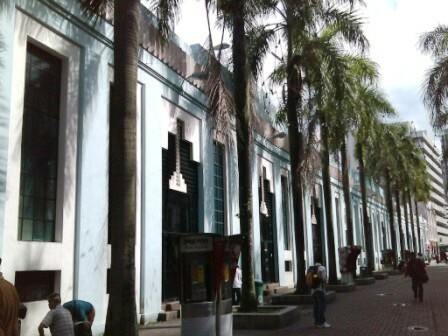 Above: In the past, you would see tonnes of locals like students gathering here after school hours to meet their friends. Many surrounding students come to tuition centers located around here. 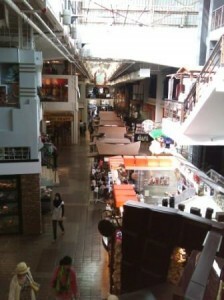 Today, it is mostly foreigners who would gather here. 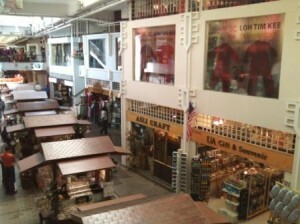 Today, the gathering point for Malaysian had moved to huge shopping complexes and lifestyle cafes. Central Market displays lots of arts and crafts from all around Malaysia. 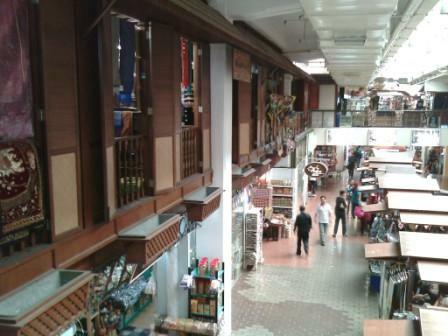 The items had always been overpriced and now that people had more choices and go for pricing instead of workmanship, the number of visitors to Central Market had dropped. 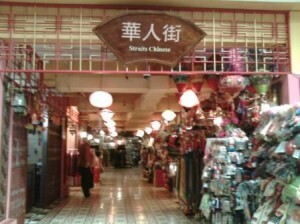 Still, a number of crafters and artisans still set up stores there.